The University of Bologna has started a project to give refugee students the possibility to continue their academic studies in Italy through humanitarian corridors from Ethiopia. "University corridors" between Ethiopia and Italy will give students the chance to continue their academic studies at the University of Bologna. The UNI-CO-RE University Corridors for Refugees (Ethiopia-Unibo 2019-21) project is supported by Alma Mater and the UN refugee agency UNHCR and is being implemented through support from Italian and international bodies and institutions. The project was designed for students who, having fled their countries of origin, are now in Ethiopia and have been granted refugee status. 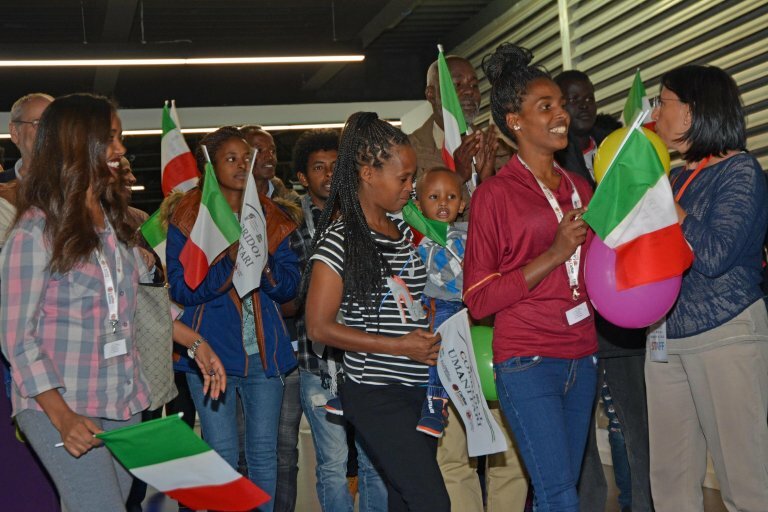 In the pilot phase for the next two academic years (2019/2020 and 2020/2021), five students who have earned an undergraduate degree in Ethiopia and want to continue their studies in Italy will be selected. Thanks to the UNI-CO-RE humanitarian corridors, the students will be able to get scholarships to attend a master's degree course at the University of Bologna. Administrative and logistics support will be provided to them as well as activities to better integrate into the local university life. The UNI-CO-RE activities will also received support from the Italian foreign ministry and a wide range of partners, in addition to the University of Bologna and the Italian branch of UNHCR. UNI-CO-RE is part of Unibo for Refugees activities, an initiative by the University of Bologna designed to develop forms of integration for students forced to interrupt their education after being persecuted or forced to flee war zones. The project calls for special procedures to be used for the recognition of their qualifications and for admission to courses of study for asylum seeker students not able to provide the documents required for admission. The students will thus be able to enroll after orientation interviews for specific courses and Italian language classes without having to pay tuition fees. Once they have been granted international protection, they will be able to register using credits already earned to get their degrees. The project also includes courses for entering the labor market and entrepreneurship.